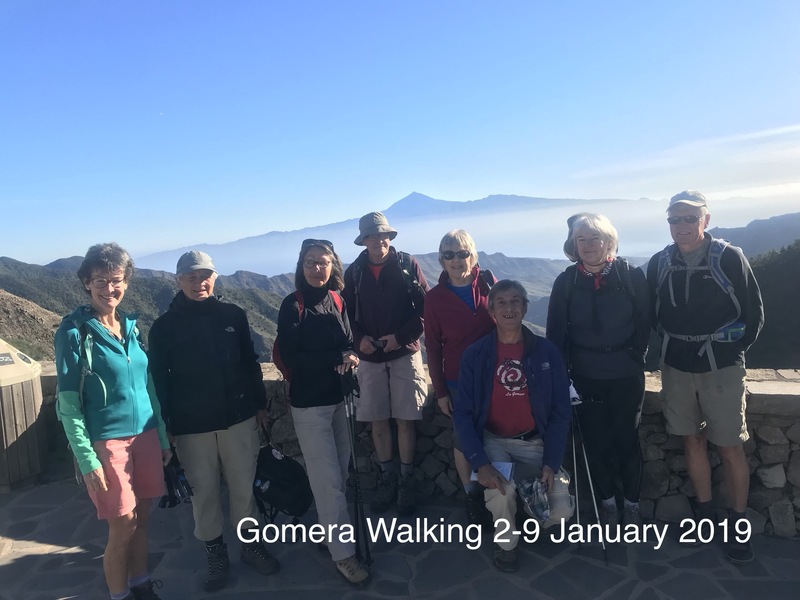 La Gomera Walking now offer Guided Day walks...ALL THE YEAR ROUND! a tour of the island and customized walking tours at weekly intervals. We start our climb at Mirador de Tajaqué which overlooks the Integral Nature Reserve of Benchijigua. We continue through the national park to the highest point of La Gomera, Alto de Garajonay (1485m). the climb out of the forest where our transport will be waiting for us. Together with your local driver you will explore and discover the most important landmarks of La Gomera. 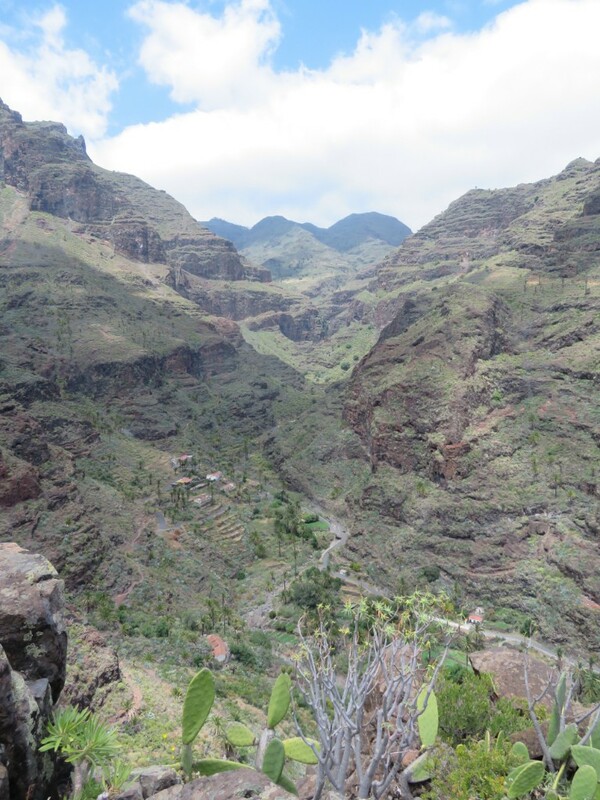 The Southern Villages: Chipude, El Cercado (ceramics); the laurisilva forest of the National Park of Garajonay; Mirador Abrante (skywalker); Visitor Centre (Juegos de Bolas); the lush valleys of the North (Agulo/Hermigua) and a live demonstration of the secret language “El Silbo”. Traditional Gomero Lunch adds to a day full of impressions and contrasts. On our return to Santiago we stop at the Roques. We start our walk in the oldest part of the laurel forest (Raso de Brumas) surrounded by wafting mists. We continue through this mystic part of the forest until we emerge into the warm sunlight and enjoy beautiful views of the villages of Las Hayas and El Cercado (pottery) and their surrounding farmlands and countryside. We finish our walk at Ermita Guará (dedicated to the Virgin of Guadalupe) in Gerian one of the most unique hamlets of the southern slope. A “Tailored Hike” offers you the opportunity to create your own experience. We can customize hikes to meet your preference or level, or for our regular clients. Please ask in our shop for information. We start our walk at the Ermita de Las Nieves and walk towards Roque Agando down to Benchijigua Natural Reserve which has remarkable geomorphological and botanical interest. Climbing out of the valley we finish at the little village of Imada with its traditional architecture and cultivated terraces where our transport will come and pick us up. If you prefer self-catering apartments we have accommodation options in Playa de Santiago overlooking the harbour, while our apartments in San Sebastian can be rented for around €65 per night. Michael did say he would send me a list of the distances and heights climbed each day. I would be grateful for it.